Are you looking for that perfect, unique gift for that special someone? How about a chakra bracelet, which has health benefits as well as bringing beauty into her life? One way to heal the chakras and bring them into balance is through the use of gemstones, which can be worn as a necklace or as a bracelet. A chakra bracelet is made up of seven stones each of which correspond to the seven chakras or energy centers of the body. The chakras channel life force energy through the body. If the chakras are spinning freely, energy moves freely and goes where it’s supposed to go, at the right time. Each chakra governs a physical, mental, emotional and spiritual aspect of a person. However, the chakras can easily become unbalanced. Energy flow is disrupted by things like environmental pollution, toxins and negative thoughts and emotions. When energy is blocked, both ‘upstream’ and ‘downstream’ of a chakra will suffer (excess or lack). As you can imagine, poor health, undesirable life situations, unhappiness, fatigue and even disease can follow if the blockages are not cleared. 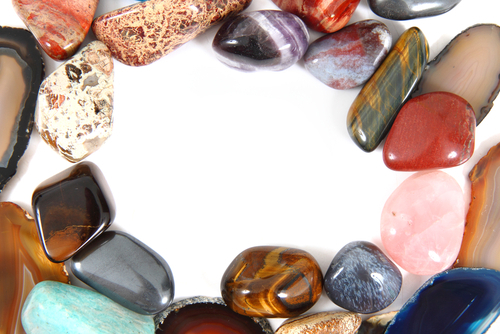 Although each chakra is associated with a specific color, the stones used are not necessarily all of that color. The following is a list of stones used traditionally in healing specific chakras. The necklace is in a rainbow formation, since specific colors correspond to each chakra and they work best when placed in the same order as the chakras. The stones can be arranged horizontally or vertically. You can get chakra necklaces for as little as $15 USD, or as much as several hundred depending on the quality of the gemstones and the setting. 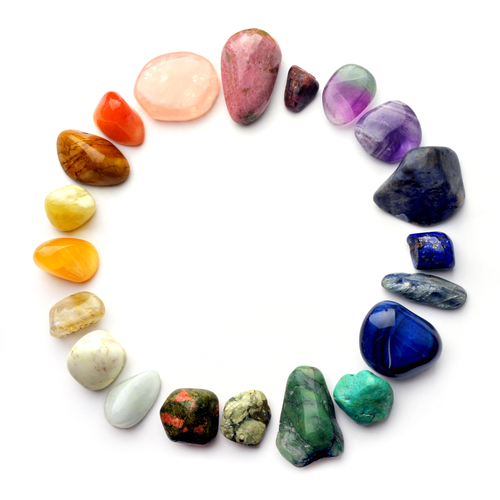 People usually have blockages or imbalances in more than one chakra, so it’s important to wear gemstones that help balance the whole system even if there is one major blockage that then affects the others – meaning, wear them all, for best results! It’s a beautiful, thoughtful gift for anyone and it will help improve wellbeing through the balancing and opening of their chakras.